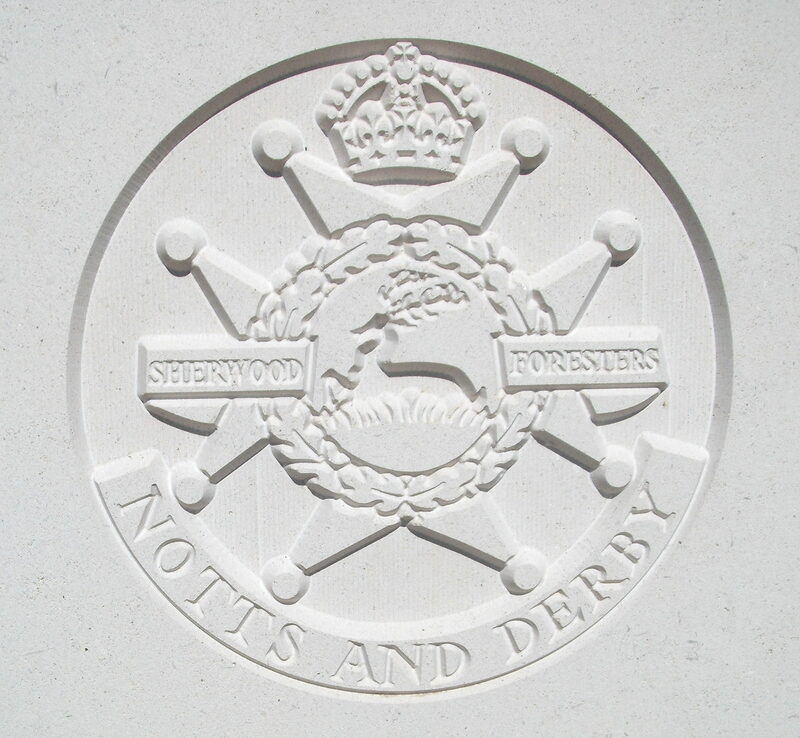 2nd Bn, The Notts and Derby Regiment (The Sherwood Foresters), 71st Brigade, 6th Division, B.E.F. Charles James Willoughby Hobbs, born in 1876, was the eldest surviving son of Capt and Mrs Hobbs of Kylemore, Malvern. He joined the army in September 1896, and saw active service at Toah 1897-8, and was present at the action Arhaga. He was mentioned in despatches for the South African war and received the Queens South Africa with three clasps. In October 1916 he was in command of the 2nd, Notts and Derby Regiment. On the 15th October, the battalion attacked the German line at 5.35 am near Montauban. From the beginning of the attack communication was problematic – only runners could get messages back to the Battalion HQ where Colonel Hobbs was trying to coordinate the attack. One objective had been taken, (gun pits in front of the German line) but the German line was proving more difficult to overcome. The commander of D Company, Major Street had been severely wounded early in the morning, so Hobbs sent Captain Backhouse from the HQ to take over command and report the Company’s situation. At 11 am Hobbs personally went up to the line to assess the situation for himself. He returned three hours later and sent forward reinforcements. Orders came from Brigade at 3 pm that the outposts in a section of line called Cloudy Trench should be connected together to make better defence possible, a company of Leicesters and a section of Royal Engineers came forward to do this, but Hobbs was concerned that he had heard nothing from Captain Backhouse since 7.30 am. At 6 he went to the front line again [original emphasis from Battalion War Diary] and was severely wounded whilst moving between the gun pits and Cloudy Trench and died the following day. Hobbs left a widow. Today he is also remembered on the St. Peter’s Church War Memorial, Littleover, Derbyshire. 2nd N&D War Diary: PRO WO 95/?